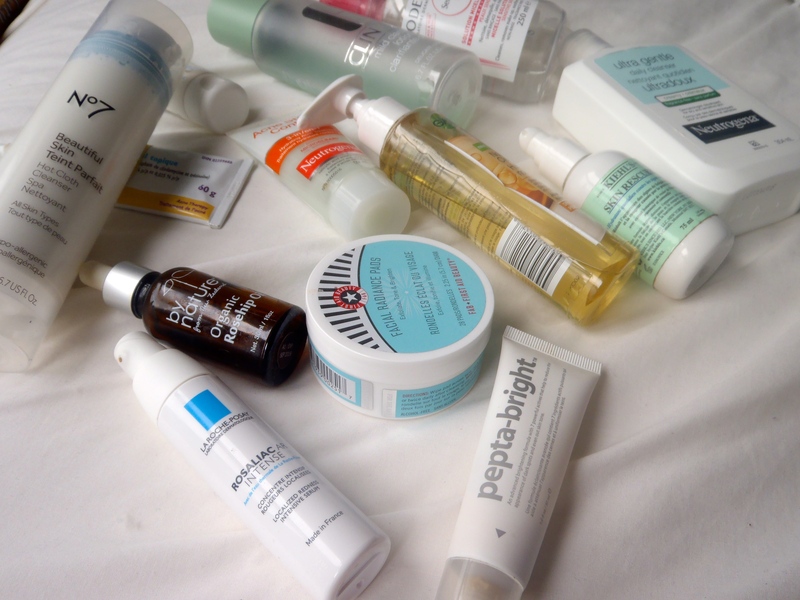 Tuesday’s post covered a description of my skin and what in my experience is essential for caring for the skin so I’ll spare you the long ramble; I already shared my general advice for skincare so I thought it was about time to discuss my specific hero skincare products. 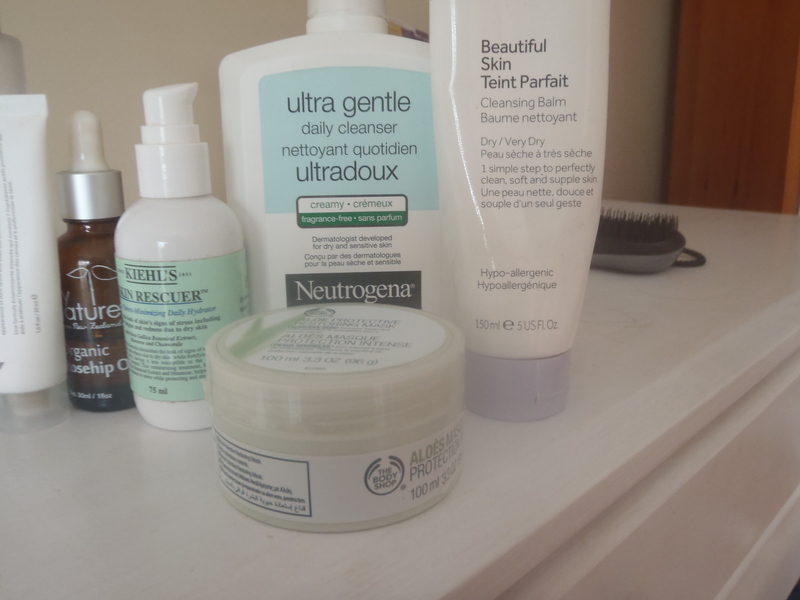 I’ve already said this last post but thanks to these products in particular, my skin is the clearest it has ever been in terms of texture and brightness and is the least red as well. I’m a wee bit passionate about the chemical exfoliants and this is why it is completely rational – for me – to include multiple products in this category here and to be honest, I was tempted to include one more but I tried my best to narrow it down… This offering remains one of my favourites and in constant although I haven’t mentioned it as much in light of my discovery of more intensive chemical exfoliants. This offering might look just like another clarifying lotion within the Clinique 3 Step System but unlike those belonging to the system, this one does not include any irritating alcohol or anything of the sort and is not the strongest BHA, as its only 0.5 % – because of this it is a gentle acidic toner for everyday use. It did not have crazy results overnight but after consistent use, it really has helped with the overall texture and clarity of my skin. 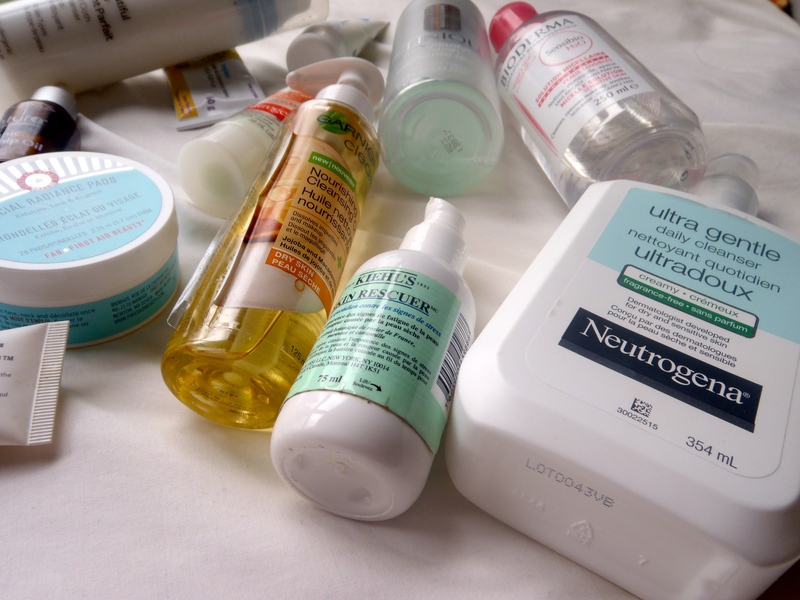 It never irritates my extremely sensitive skin and if anything actually reduces irritation and inflammation. This is the other chemical exfoliant that I attribute to the improvement of my skin but this one contains AHA’s and is more concentrated, focusing intensively on brightness along with texture. Unlike the acidic toner, this one is more of a concentrated treatment so I tend to use it less often, say four times a week at night — while there aren’t instant results with this, this cream-serum over the span of a few months of continuous use radically improved the brightness, evenness and texture of my skin. The cream texture actually is impressively hydrating on its own — I tend to follow with something but I don’t have to, which is impressive and it doesn’t have irritating ingredients or fragrance within it. 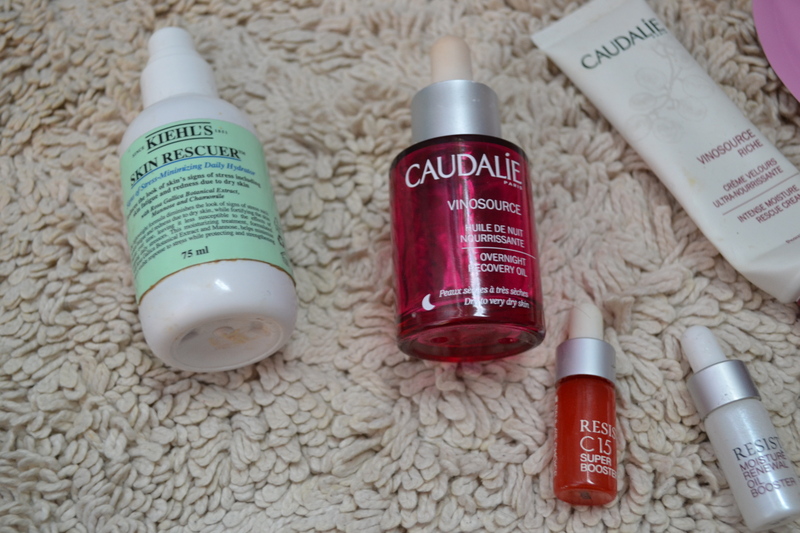 I adore this serum and I wrote much more on it here when I reviewed it. Organic Rosehip Oil While my product is produced by the brand By Nature, I don’t think that the brand is significant in any shape or form as it’s just a pure oil. This oil does what its hyped to do, nourishing and deeply hydrating the skin with its non-greasy dry oil texture, soothes and calms the skin while helping to fade hyperpigmentation and promoting overall clarity. Also, I find when I have a blemish coming up underneath the skin, if I apply this on the area, it not only goes away much sooner but it also doesn’t leave any angry marks or other sources of irritation — this sounds kind of strange but it is true. However, I should mention that the oil has sort of a brassy tinge so if you’re wearing it during the day you probably should be wearing something on top. Kiehl’s Skin Rescuer Daily Hydrator ($45 CDN) While I’m not quite ready to classify this moisturizer as holy grail or anything of that declarative sort, I must admit that this rich moisturizing treatment that remains lightweight and at the same time contains skin-soothing ingredients such as squalane and chamomile is impressive. While doing the above things in a practical pump container with a sufficient amount of product, it protects the skin against the elements and can quickly get my skin out of that cycle of irritation, itchiness and flaking. And it’s fragrance-free which is a nice change of pace. Neutrogena Ultra-Gentle Daily Cleanser ($10-12 CDN) To be honest, it was rather difficult to chose whether to include this cleanser or the extremely similar Neutrogena Extra Gentle Cleanser but ended up going for this offering because while it wasn’t quite as creamy and as hydrating, this gentle fragrance-free cleanser also has the ability to remove makeup completely. This cleanser never leaves my skin feeling stripped and is a lightweight creamy-gel kind of texture – similar to Cetaphil but notably superior in my opinion – and is the perfect cleanser to go in for the second cleanse at nighttime – or first for that matter – but it’s a great one for the mornings as it applies and rinses without the aid of a washcloth with ease. Boots No7 Beautiful Skin Cleansing Balm ($11 CDN) This appears to be another one of those products that I actually have evidence of my adoration of here in review form. To be honest, I’ve actually just finished this product – after using it daily for a good ten months – and have moved onto the very similar Hot Cloth Cleanser from the same line but regardless, this nourishing and creamy cleanser removes makeup like a dream and leaves the skin soothed but cleansed like no other. I wouldn’t actually describe it as a balm cleanser but rather as a rich cream; I’m not complaining though, here. I occasionally use it in the mornings as well but this is my go-to cleanser for the first cleanse at nighttime to remove the bulk of my makeup gently. The Body Shop Aloe Protective Restoring Mask ($22 CDN) When I discovered this product a few months back, it was a riskier purchase as I tend to be skeptical of stores like The Body Shop as they tend to overload their products with fragrance and call them skincare but as I stated in an earlier post here, I was pleasantly surprised. Not only is this moisturizing mask packed with the soothing and healing aloe, it doesn’t contain any sort of fragrance or irritating ingredients either. This might not be the most groundbreaking moisture mask in existence, simply loaded with calming aloe that truly nourishes the skin but it does what it sets out to, calming down the skin overnight, adding intensive hydration without feeling overly heavy on the skin. 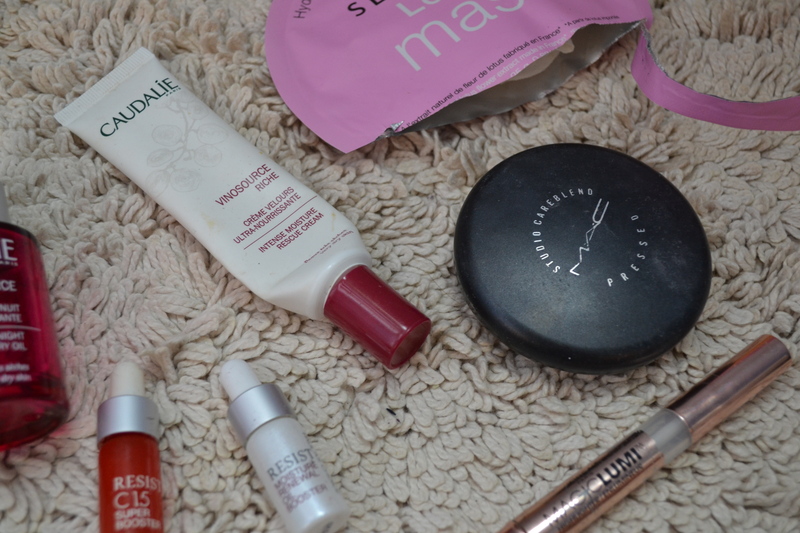 And the next day, you wake up with brighter more radiant skin. I’ll warn you, though, this is the first moisture mask that I’ve tried so I haven’t really got anything concrete to compare it to. 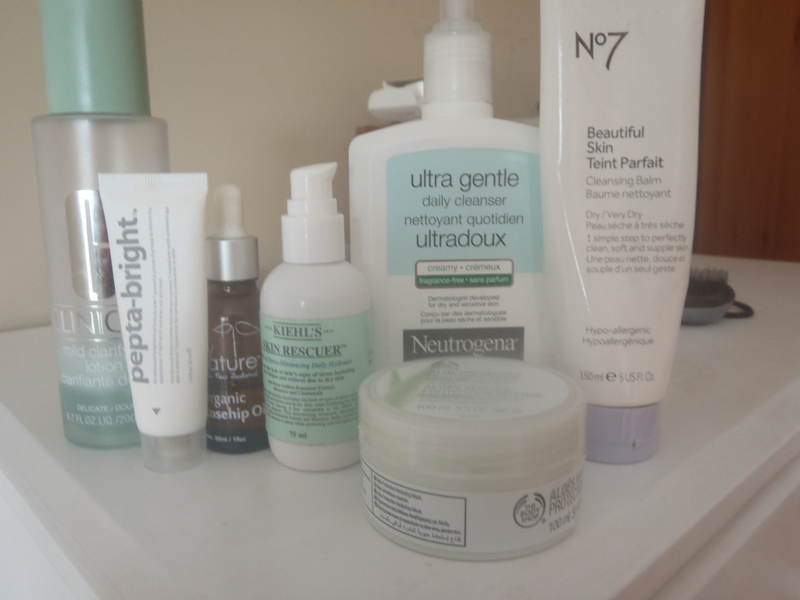 What are your top skincare saviors?